It's the first ever Great British Cheese Day! 21st October 2018 marks the first ever #GreatBritishCheeseDay, following closely on the heels of the third year of the Great British Cheese Awards, run in conjunction with Great British Chefs and Peter’s Yard. This day aims to highlight and honour the producers of British artisan cheeses, as well as celebrating those who promote and enjoy them. There have been events all over the country, and it is hoped and expected that this annual event will develop and mature (see what we did there?!). 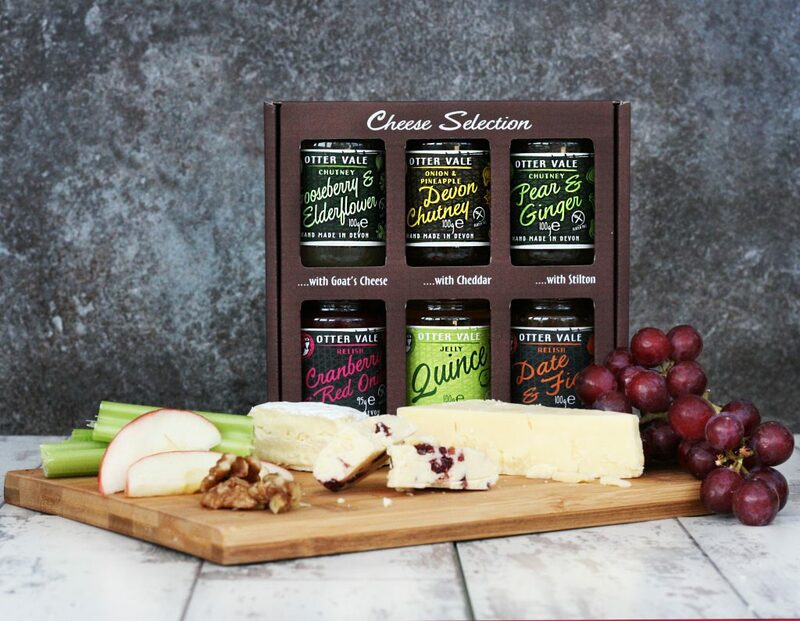 As artisan producers of chutneys, savoury jellies, relishes and more, of course we are delighted to see the finest British cheeses and cheese makers recognised in this way. As food lovers, we need no specific day to champion them, but hey, it’s also nice to have a valid excuse! We are blessed to have a number of renowned cheese makers and excellent cheese retailers on our door step here in Devon, and in the West Country in general. In the South West, we have a number World Cheese Award winning cheeses. 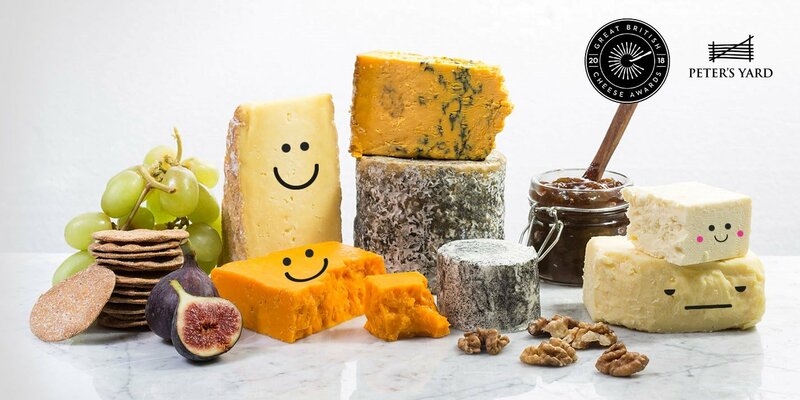 Whilst awards are an excellent way to raise the profile of a product, we will be brutally honest and say that that’s not why we tried these cheeses in the first place – indeed, we didn’t even know about these awards for some time. Oops! We loved them because, well, we think they’re great! Mrs. 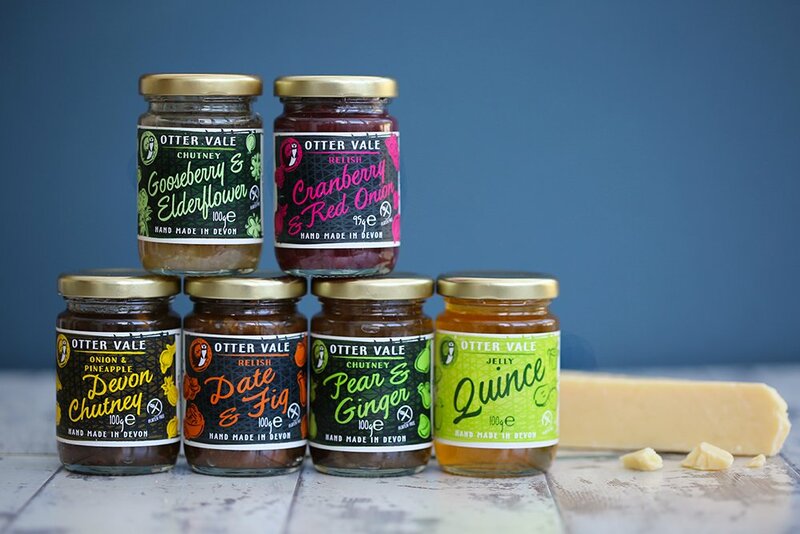 Otter Vale is a stickler for her cheese and chutney/jelly pairings, which often leads Mr. Otter Vale to despair when he opens “that” cupboard in the kitchen at home. Bearing in mind that she didn’t even really know what chutney was before she moved to England to go to vet school, we think she’s come a long way! Mind you, when she runs out of her preferred accompaniment, well, it’s not always pretty! We appreciate the classical combinations when it comes to cheese and chutneys and the like, so we’ll share some of our experiences below. That said, there are no hard and fast rules – at the end of the day, it’s down to personal taste, and you’re certainly not going to find any arguments from us there! Sharpham Wine & Cheese make an incredible “Brie”, hand made using traditional methods from the milk of their Jersey herd. You can visit Sharpham Estate in the Dart Valley, where the cheese making processes can be viewed through the windows. It was the People’s Choice at the first Great British Cheese Awards in 2016, and it certainly gets our vote! This is the one Mrs. 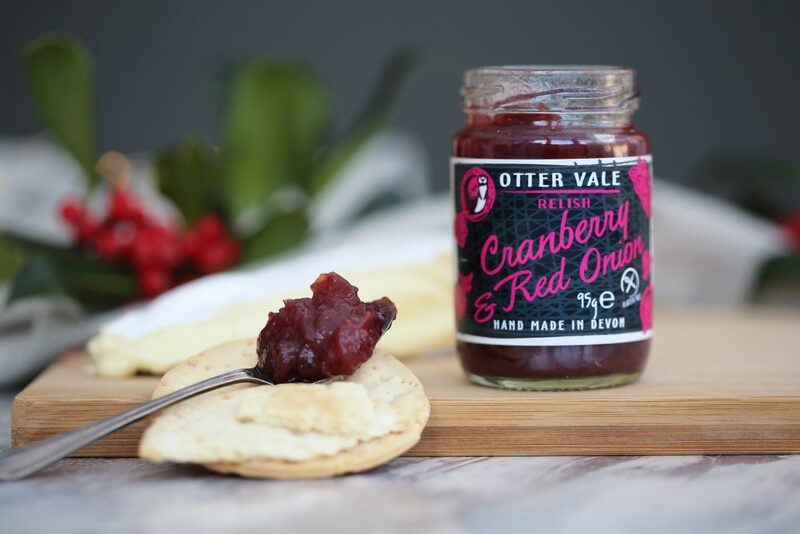 Otter Vale gets cross about if she runs out of our Cranberry & Red Onion Relish to enjoy with it! The addition of Grenadine gives it that little bit extra! One of the most famous names in cheese making locally, nationally and internationally is Mary Quicke, MBE. If you haven’t tried Quicke’s mature and vintage cheddars, you simply must. Call into their shop just outside Exeter, or even better, book a tour! This is where the Otter Vale family differ with our preferences. Mr. Otter Vale swears by Devon Fire Chutney (a previous Taste of the West Gold award winner, usually as Devon Fiery cheese on toast! ), Mrs. 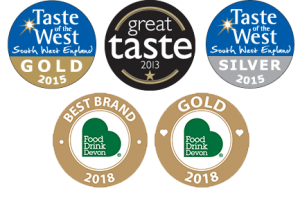 Otter Vale goes for Apple Chutney with Westcountry Cider (a Great Taste Award winner) and most of our customers will go for Devon Chutney/Onion & Pineapple (a previous Great Taste Silver award winner) – and with 40 years of history behind it next year, they’re probably right! Mrs. Otter Vale is also a great fan of goats’ cheese, and we are conveniently located very close to both Vulscombe and Norsworthy herds! Served up with our Gooseberry & Elderflower Chutney (a Taste of the West Silver award winner), it’s one of her favourite treats. 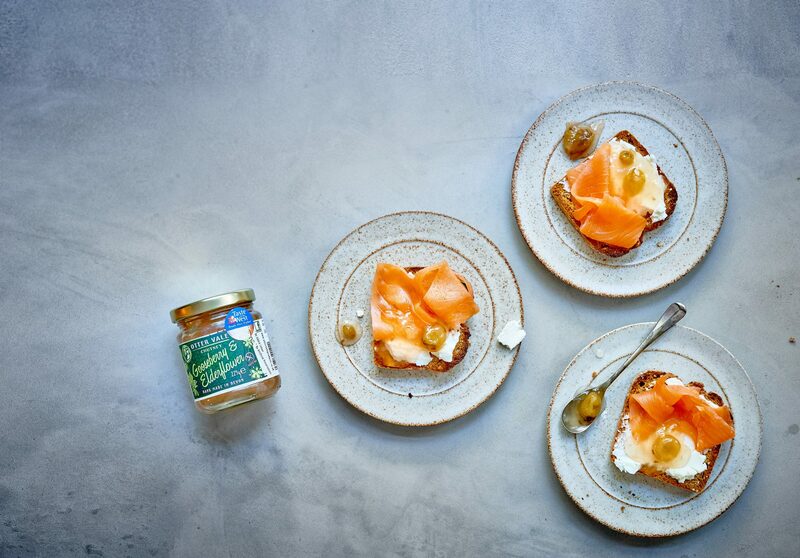 Sneakily photographed here with cream cheese and smoked salmon! Slightly further afield, but partly harking back to Mrs. Otter Vale’s love of nettles as an ingredient, are the incredible yargs and kern from Lynher Dairies. Their kern won Supreme Champion at the World Cheese Awards 2017; and we have it with our Quince Jelly, the traditional accompaniment to Manchego. Or with Date & Fig Relish (a Taste of the West Silver award winner), sometimes we just can’t make up our minds! Those are just our suggestions; but as we said above, it all comes down to personal taste at the end. 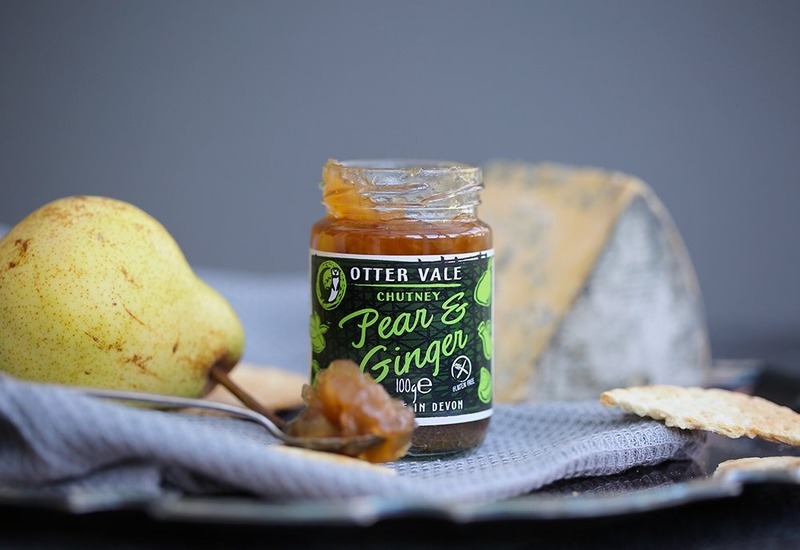 We do know of customers who swear by our Curried Peach Chutney with a good strong cheddar, but we have to confess that we haven’t tried that combination yet. If you’d like to learn more about the wonders of cheese and appreciate the finer points of cheese making, why not look at the Academy of Cheese courses? A not-for-profit organisation, they provide courses for those in the trade as well as cheese lovers, and who knows, maybe YOU could end up as a Master of Cheese?! Regardless of where you take this passion, we’d love to hear how you enjoy your cheeses. And chutneys!